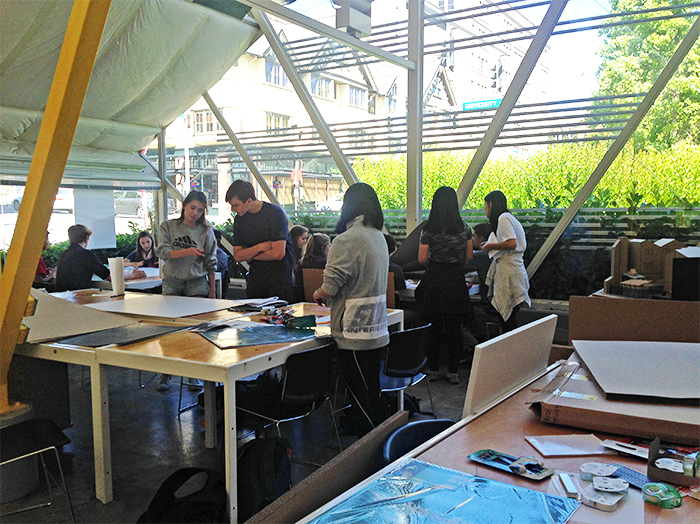 Meganne DesRosier at ORA and Matt Fujimoto at Hybrid are teaming it up as co-teachers of the Architectural Studies class at the University of Washington’s Summer Youth Program. A curriculum geared toward high school students, the course provides opportunities for youth to investigate the fundamentals of design with historical, cultural, social, technical, and environmental considerations. Through a carefully coordinated series of design prompts involving sketching, architectural drawing, and model-making, students explore multi-faceted design issues and are challenged to practice visual and spatial analysis as well as verbal presentation skills. ORA values involvement and leadership within the Seattle community.